Feedly app gathers the content of your favorite websites, blogs, Youtube channels and RSS feeds in one place. The feedly Mac app syncs seamlessly with the feedly iPhone app and the feedly iPad app so that you can read your favorite sites anytime, anywhere. 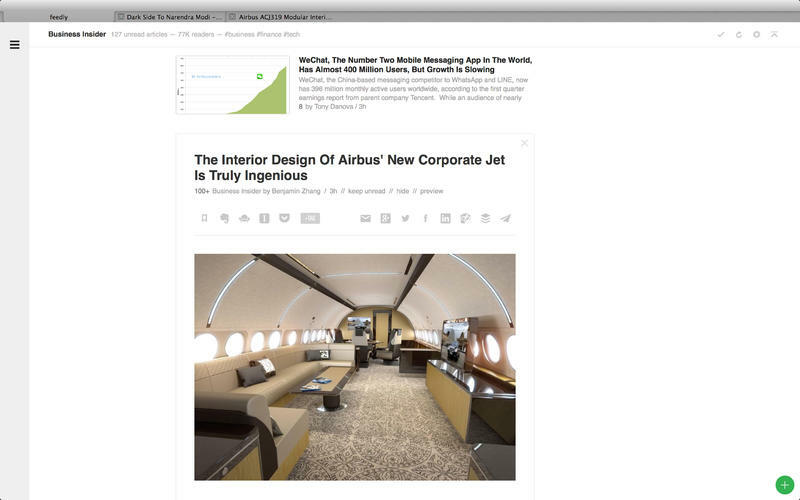 The feedly Mac app has a few super powers that the feedly web interface does not include. If you need more information please contact the developers of Feedly for Mac (DevHD), or check out their product website.